MS is often referred to as the tip of an ice berg of submerged metabolic derangements that respond better with lifestyle changes than medication use.3 The progression from abdominal obesity to MS, diabetes and CVD is shown in Figure 054. This syndrome can be detected easily (using a tape measure, blood sugar and lipid profile) and treated with lifestyle modification years and even decades before a heart attack or diabetes is diagnosed. 1. Grundy SM. Metabolic syndrome: connecting and reconciling cardiovascular and diabetes worlds. J Am Coll Cardiol. Mar 21 2006;47(6):1093-1100. 2. Wilson PW, D’Agostino RB, Parise H, Sullivan L, Meigs JB. 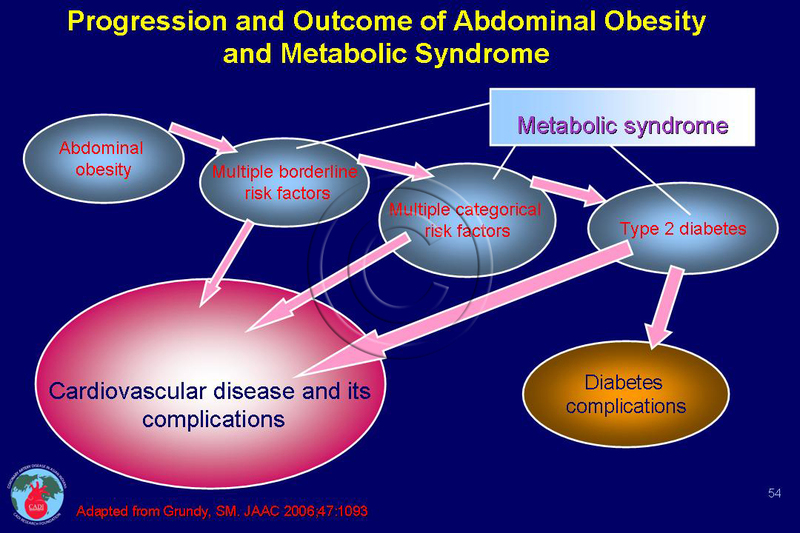 Metabolic syndrome as a precursor of cardiovascular disease and type 2 diabetes mellitus. Circulation. Nov 15 2005;112(20):3066-3072. 3. Haffner SM, Stern M, Hazuda H, Mitchell B, Patterson J. Cardiovascular risk factors in confirmed prediabetic individuals. 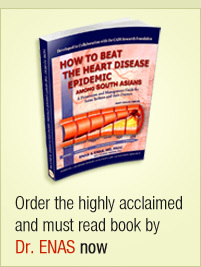 Does the clock for coronary heart disease start ticking before the onset of clinical diabetes? Jama. 1990;263(21):2893-2898.